Naomi Wood was awarded the 2012 inaugural Eccles Centre British Library Writer in Resident Award. She is the Young Patrons Ambassador at the British Library and teaches at the University of East Anglia. She lives in London. Mrs. Hemingway is her American debut. "Readers who enjoyed Loving Frank and The Paris Wife will adore this ideal summer read. 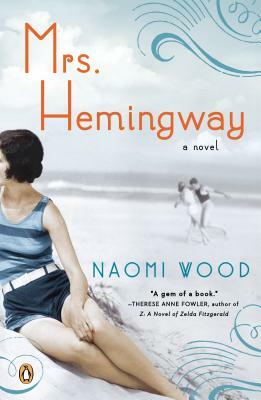 Seamlessly blending known facts with fiction, Mrs. Heminway is an absorbing, tender glimpse inside the lives of those in Hemingway's inner circle."